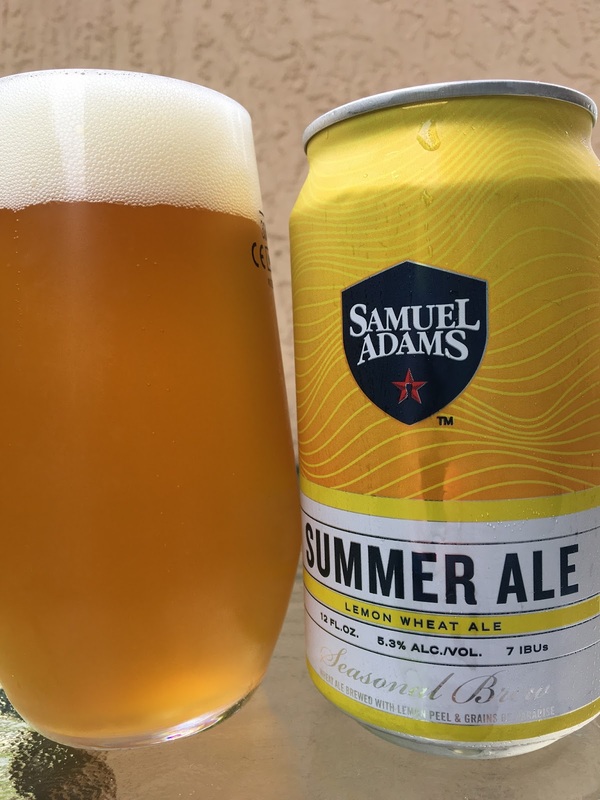 Samuel Adams Summer Ale has three colors of bottle labels (I know you've seen the commercials), but you know what? Yeah, they also can the beer! This is a lemon wheat ale. Best by September, 2017. 5.3% alcohol. 7 IBU. Not much for an aroma. Lemony tangy flavors to start, a bit like a pastry. Lightly sweet with just a hint of spiciness. Could use a bit more bitterness. Take the whole 12 pack to the beach!